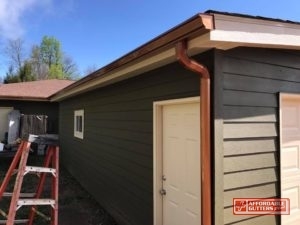 Affordable Gutters Plus, LLC is the one to call for your top quality rain gutter installation needs in Rome, GA. With absolute gutter and roof services, you get the high quality rain gutter installation your house requirements. Each rain gutter installation is completed with our aim in mind, to supply peace of mind with a system that will last as long as you own your house. With excellent craftsmanship and customer service, our licensed contractors give you expert service in town. One phone call is all you need to receive all of your rain gutter installation answers. Call 770-735-4433 for high quality services and rain gutter installation in Rome, GA from Affordable Gutters Plus, LLC. 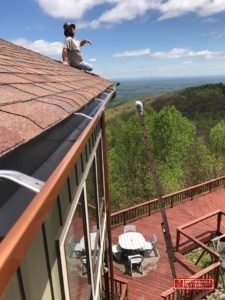 Affordable Gutters Plus, LLC supplies all of your needed residential services in Rome, GA. Our contractors are Receive all of your roof, flashing, and rain gutter installation requirements completed in one place. Metal Roofing: Metal roofing is a fantastic choice for houses looking for a strong, energy efficient roofing alternative. Roof Drainage Repair: Part of having your gutter system run correctly is having roofing drainage repair when required. Seamless Rain Gutters: With quality installation from Affordable Gutters Plus, LLC, you get a system that offers your home with safeguards without the worry of seam cracks and leaks. And So Many More! Storms, hail and winds are averted from damaging your house by your roofing system. You can protect your roof with skilled installation on your gutter system. Call 770-735-4433 for rain gutter installation in Rome, GA. Your home is a huge investment and you need it to last you a lifetime. 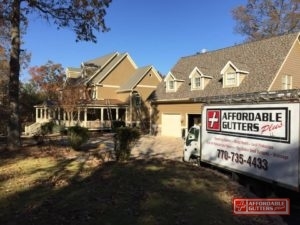 With Affordable Gutters Plus, LLC, you get contractors that comprehend your specifications and aim to give you gutters that are designed to last as long as you possess your house. Our team gives you what your house needs, offering you high quality installation and superior materials. You get superior customer service and top-notch workmanship around with your roof and rain gutter installation. Let’s get started today. Call 770-735-4433 for Affordable Gutters Plus, LLC and rain gutter installation for your Rome, GA home today!